Morris demonstrates dressage without stirrups on Hunter Holloway's Grand Prix horse. Morris developed the Gladstone Program through the USET to help raise great riders for future U.S. teams. The Gladstone Program is an intensive week of training and education for exceptionally dedicated and talented show jumping riders who are serious about their interest and desire to pursue a path that will prepare them for international competition. The program not only focuses on proper riding but also on horsemanship in the barn and correct care of the horse. Twenty riders are hand selected for the program by Morris. 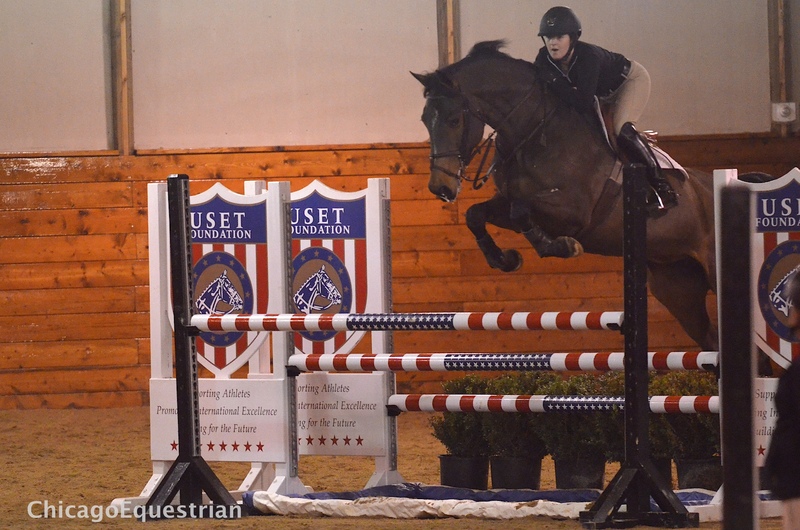 Ten riders attend a clinic at the USET’s Hamilton Farm in Gladstone, NJ and ten riders attend the clinic at Annali-Brookwood Farm June 15-20, 2015. The clinic continued on Sunday with the World Cup of Brookwood as the finale for each group. 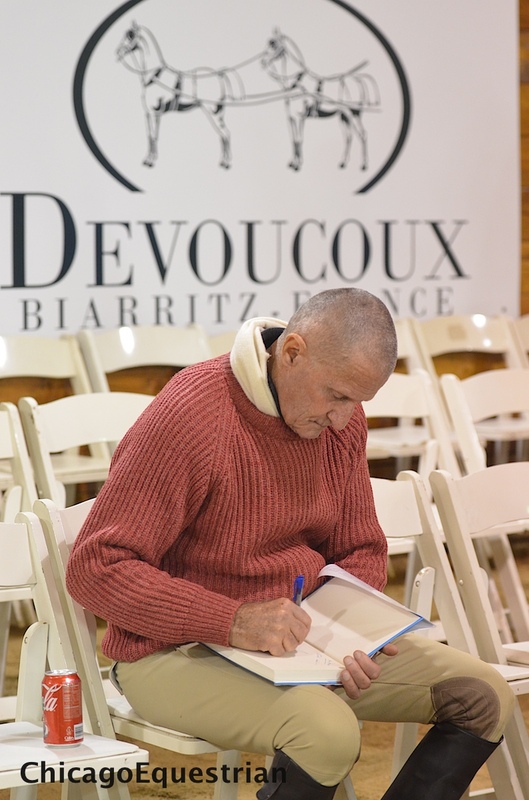 Morris meticulously spent time with each horse and rider from walking the course to special jumping exercises for each horse and again demonstrating his teachings by riding. Caitie Hope and Vision EH. A full house of auditors definitely got their money’s worth from Morris, with many taking notes as Morris spoke and had a chance to ask questions. Auditors were just as eager to watch as the riders were for the opportunity to ride with the master. Auditor Egle Keturakyte of Downers Grove, IL, was supposed to work on Sunday but after watching on Saturday, called in and said she couldn’t possibly make it to work so she could watch Morris another day. Keturakyte is an eventer and found Morris’s education priceless. IHSA rider at Northern Illinois University Julie Wiersma came to learn from Morris as well. “It gives you a higher level of perspective and something to compare what you’re currently learning and working on to,” said Wiersma. 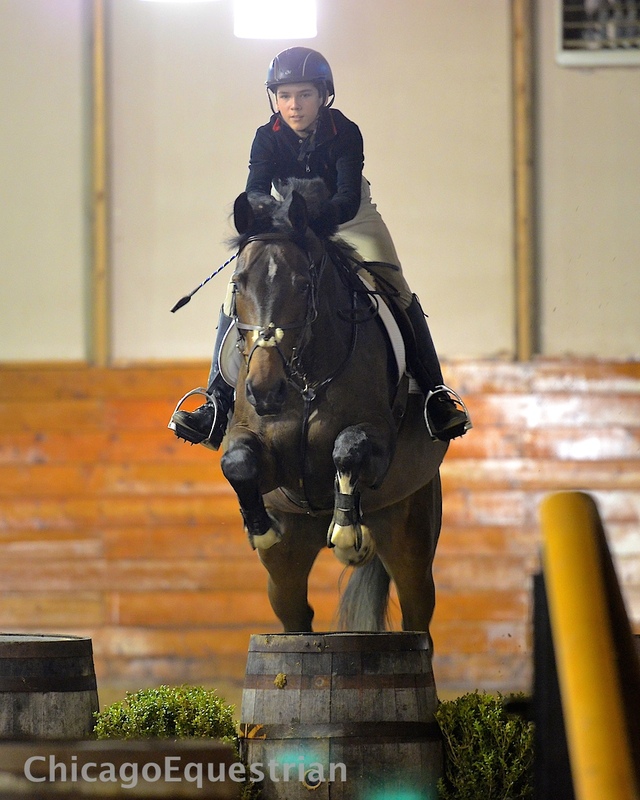 Hunter Holloway, who finished second in the 2014 ASPCA Maclay Medal Finals. A group of IEA (high school) riders also came to audit and listen to the author of Hunter Seat Equitation in person. Many professionals came to hear Morris and some to watch and support their riders. Area professionals Linda Valetic, Steve Foran and Janet Sassmannshausen to name a few, audited the clinic while professionals Brandie Holloway, Amelia McArdle, Lindsey Lamb, Lindsey Yinger, Ali Senatore, Serah Vogus, Caroline Weeden, Shawn Remillard, Katie Leverick and Ryan Sassmansshausen rode in the clinic. Professional Jennifer Welhouse from Poynette, Wisconsin drove two hours and stayed at a hotel to fit in two days of education with the former Chef d’Equipe. 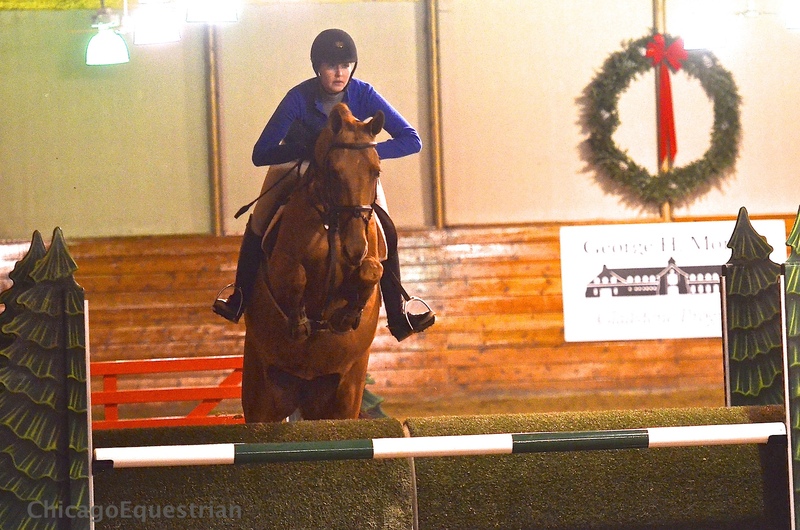 Welhouse is a hunter/jumper and quarter horse trainer and was eager to hear more from Morris. Professional Serah Vogus encouraged her students to come and watch Morris by offering a free lesson if students came back to the barn with notes from the audit session. “I wanted to encourage my students to come so they wouldn’t miss out on a great opportunity,” said Vogus. Brenda Perkovich enjoyed the weekend watching her 13 year-old-son Kyle ride with Morris for the first time. Professional Ryan Sassmannshausen added, "I ride in the clinic to improve my riding and to learn how to be a better teacher in my own business." For a schedule of George H. Morris clinics please visit www.GHMclinics.com. For more information on future events contact Diane Carney at dtelluride@aol.com or 847-922-6167.